Nanna and Pop have always been by each other’s side. Although they recently found themselves without a home, they still had each other. They’re now ready for adoption, and we’re on a mission to find a forever home with room for two. When we first met this Staffy-cross pair, they were very afraid, especially Nanna. 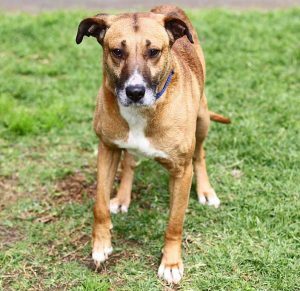 “She ran to the back of her pen with her tail between her legs and started trembling,” said Helen, behaviour trainer at the Home. Nanna and Pop were placed into the Home’s Behaviour Program to help build their confidence and teach them how to interact with the world around them. With positive reinforcement training and lots of TLC from their trainers, they began to learn that things weren’t so scary after all. For Nanna, a helping paw from Pop also encouraged her to blossom. Pop was gradually improving in terms of confidence, but Nanna was struggling. We decided to start getting them out for training sessions together to see if this helped Nanna feel more confident,” said Helen. Watch Nanna and Pop’s video here. “Nanna has turned out to be a cheeky little comedian now that she is feeling more confident. She has a favourite pink toy that she loves to throw around and chase. She always keeps us laughing with her antics,” said Helen. “Pop is a gentle soul who has really won the hearts of everyone at the Home. He has an endearing ‘tap dance’ that he does when he meets people and he’s forever smothering everyone in kisses. When he’s feeling energetic, he loves to play with his toys. Nanna and Pop light up when they are together. During their regular play sessions, their tails don’t stop wagging. 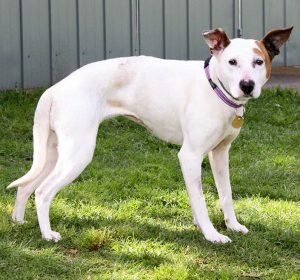 Nanna completely comes out of her shell and her happy, cheeky personality shines. Nanna and Pop rely on each other for companionship and confidence, so they must find a home where they can stay together. They can be shy at times and their confidence is still growing, so Nanna and Pop will flourish in a quiet home. They will make wonderful companions for an adult home or family with teens. 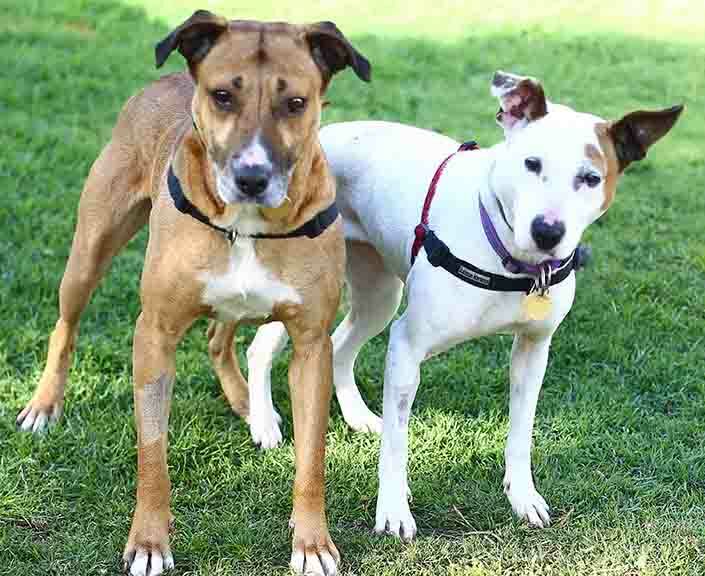 Adopting two dogs is a big commitment, but you will be rewarded with double the love. With TLC, patience and ongoing training, Nanna and Pop will thrive, together forever. 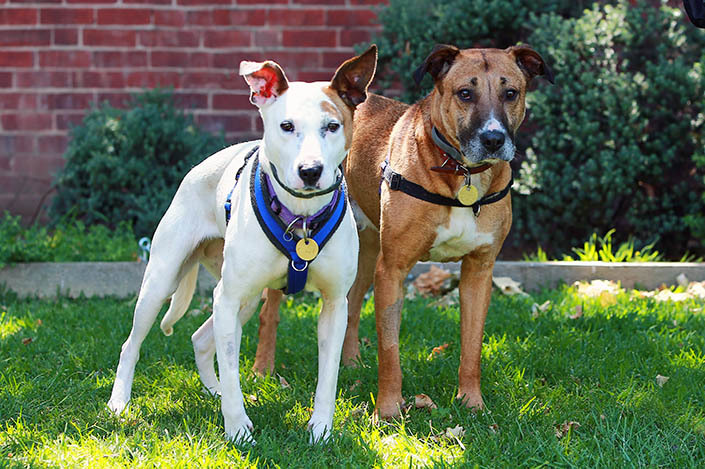 Nanna and Pop (IDs 1018799 and 1018803) are up for adoption at our North Melbourne shelter. 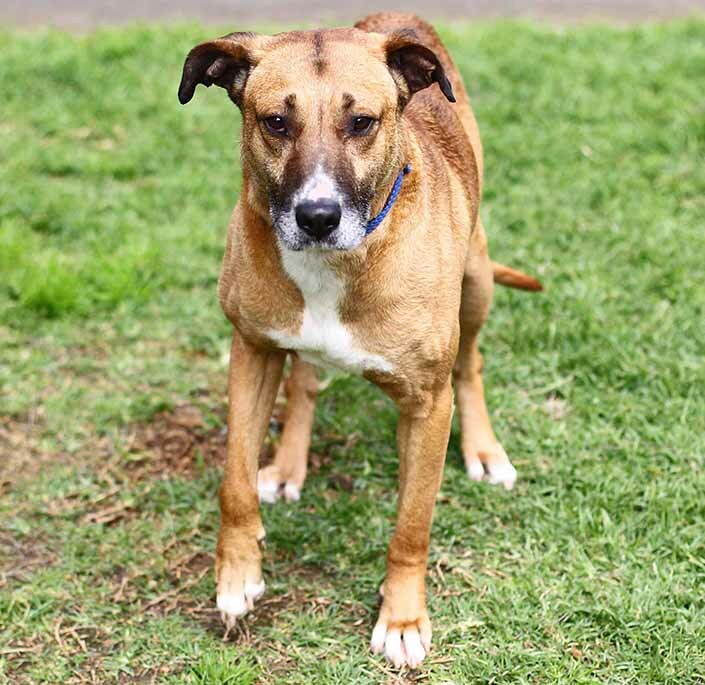 To learn more about them, view their adoption profiles or call our adoption centre on (03) 9329 2755.